CARFAX 1-Owner. EPA 30 MPG Hwy/23 MPG City! Onboard Communications System, CD Player, Dual Zone A/C, Brake Actuated Limited Slip Differential, Smart Device Integration, iPod/MP3 Input, Alloy Wheels, Turbo, Satellite Radio CLICK ME! Back-Up Camera, Turbocharged, Satellite Radio, iPod/MP3 Input, CD Player, Onboard Communications System, Dual Zone A/C, Smart Device Integration, Brake Actuated Limited Slip Differential. Rear Spoiler, MP3 Player, Privacy Glass, Keyless Entry, Child Safety Locks. newCarTestDrive.com explains The Escape does not handle like an SUV, it handles like a sharp and engaging liftback, albeit a high one. 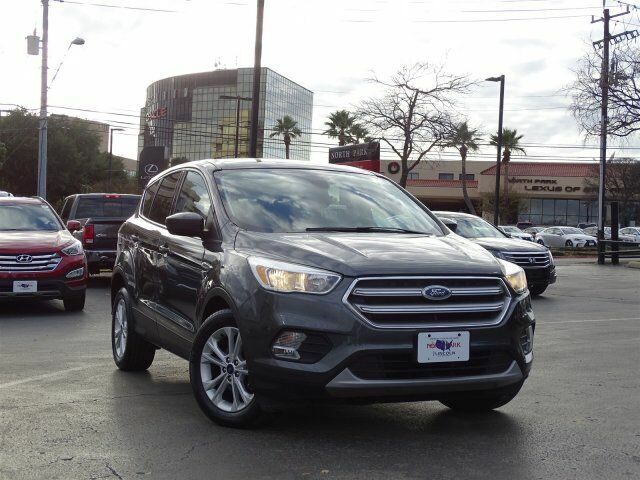 Crisp steering, responsive handling, great body control.. Great Gas Mileage: 30 MPG Hwy. Every North Park I-35 Lot vehicle undergoes a 74-Point Inspection and Oil/Filter change service prior to being offered for sale. We stand behind every vehicle we sale by including a 90-day/3000mile limited warranty in the unlikely event a repair is needed (ask Sales Consultants for details). Extended service plans are also available to cover your new vehicle up to 100,000 miles! We can custom tailor an extended warranty plan to work with your specific needs.